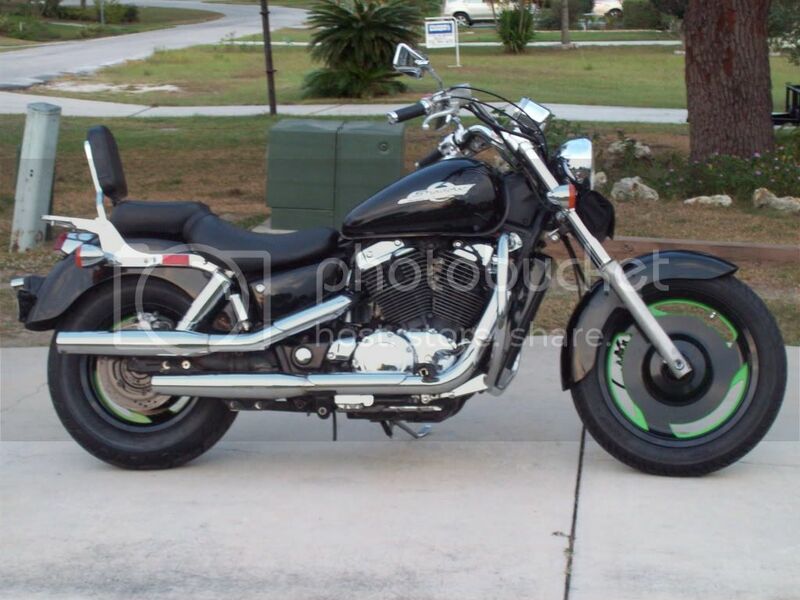 Hello all, Just got a 95 Shadow 1100. Its my first bike so I have some learning to do with it. I live in Winter Park (right on the Casselbery line). I will be riding whenever possible. My girlfriend lives out in Brooksville so I will be out there a lot too. Look forward to learning and meeting you folks. anyone riding out this weekend? or know a good cheap welder? Just got my 2007 Shadow Spirit a few weeks ago... returning to riding after a 25 year hiatus. Love my Shadow more every time I ride or polish it! Daytona Beach here. Any other riders in this area? Last edited by Terry J; 08-19-2011 at 11:01 PM. When I told the cycle class it had been 35 years since I last rode. The instructor asked me why. "I got married". "lesson to you all." the instructor said. I use mr RS as a daily driver near the Orlando Jetport. Kingshead are you here yet? I'm in PSL near TRNPK. Let's ride. Ummmmmmmmmm...you're not gonna reach Kingshead on this site anymore. My little RS won't be fixed for a couple weeks yet. Seems I'll be healed before my bike is. $3,000 damage to it. Dam these insurance co.s are slow. At least the lady had insurance. Did you know the 2011 VT750RS tank is over $1000? Where in Clermont are you? I've been out to the BWW out there on 192/27, its right by where Formosa Gardens used to be.